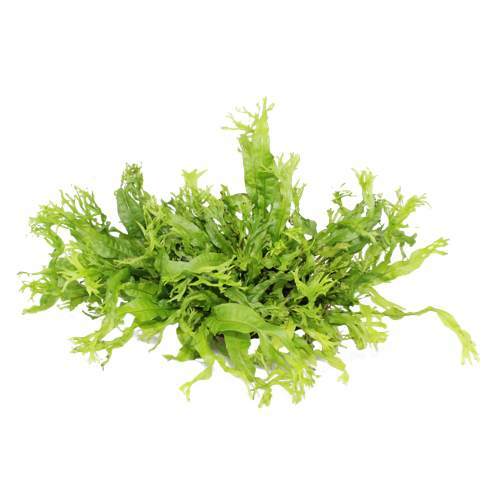 If you’re one of those people who is looking for something a bit different, or dare I say it even a bit cool, then consider the Microsorum pteropus Windelov on Coconut – it’s a new product into us and on first impressions it looks pretty darn neat! 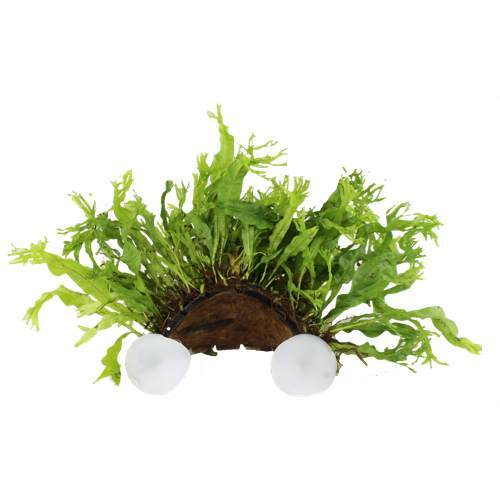 A really bright plant that has been carefully grown on a 1/4 coconut and then suction pads glued on. 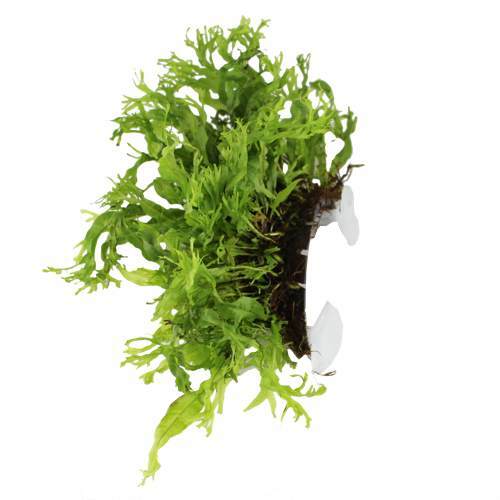 You can place this aquarium plant pretty much anywhere in your planted aquarium and the beauty of the Microsorum pteropus Windelov on Coconut means you now have a 3 dimensional look to your tank. The suction cups are designed so that you stick the coconut to the side of your tank and bingo, you’ve got something that looks totally unique! Perfect for any level of hobbyist from old to new. In terms of difficulty it’s very easy as the aquarium plant Microsorium pteropus windelov is extremely easy to care for. Doesn’t really matter what sort of lighting your provide it does well. This means you can place it near the bottom or top of your tank, although not too close to the top or else it can look a bit odd. 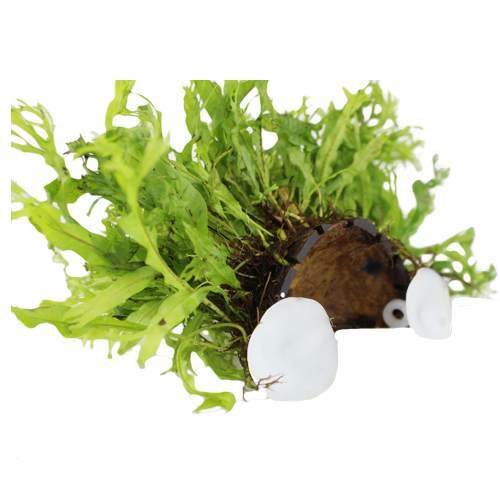 If you have fish that tend to enjoy consuming plants, then this could be another good reason for you to invest in this because Microsorum pteropus Windelov on Coconut is generally left by fish due to the taste! What maintenance does it need? Very little. Microsorum pteropus Windelov on Coconut is slow growing and the piece you receive will probably be many months old. As soon as it’s placed in your aquarium, growth rate will probably slow a little. Once in a while you can trim the ends off but that’s pretty much all you will need to do.